Welcome to the November 6, 2017 edition of ACM TechNews, providing timely information for IT professionals three times a week. The second Computing Community Consortium Symposium on Computing Research: Addressing National Priorities and Societal Needs was held last month to boost the visibility of work linking innovative computing research to major societal requirements. Michael Dunaway from the University of Louisiana at Lafayette noted hurricane tracks have been very accurate this year because computational models have become quite capable at forecasting the direction of hurricanes in the upper atmosphere. Meanwhile, Chandra Krintz and Elizabeth Belding with the University of California, Santa Barbara, urged new approaches to networking and wireless communication to create economic opportunities in rural agriculture. The Artificial Intelligence (AI) and Amplifying Human Abilities panel agreed AI will make jobs more interesting and lead to more diverse, higher skilled, and higher-earning jobs. Cornell University's Solon Barocas detailed how algorithms are often not "fair" because of biases and gaps in underlying data, and Kelly Jin from the Laura & John Arnold Foundation called for new strategies in exploring data to address societal issues. Google is concentrating on developing artificial intelligence (AI) that can partly relieve humans from constructing AI systems that many think represent the future of the technology industry. Firms are inventing all varieties of tools that will make it easier for any operation to build its own AI software, including products such as image- and speech-recognition services and online chatbots. Scientists such as Google's Jeff Dean (who shared the 2012 ACM Prize in Computing with Sanjay Ghemawat) believe if more people and companies are working on AI it will drive their own research, while companies such as Google and Microsoft envision revenue-generating opportunities; all are selling cloud computing services that can help other businesses and developers build AI. Dean thinks Google's AutoML project, which seeks to automate neural-network construction, will help firms build AI systems even if they lack expertise. Google is building algorithms that analyze the development of other algorithms, learning successful and unsuccessful methods so they eventually learn to build more effective machine learning. 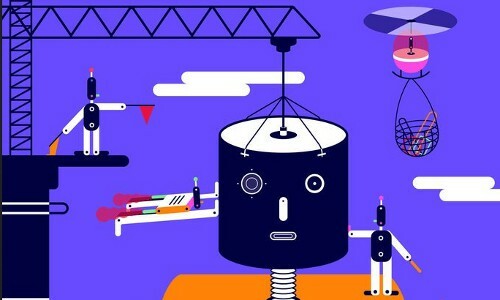 Rapid progress is being made in the field of artificial intelligence (AI) and robotics, as milestones are being passed in a wide range of areas, including transcription, diagnosis, and warfare, says Toby Walsh, a professor at the University of New South Wales in Australia. Although most AI experts estimate it will take at least 50 years to get to human-level intelligence in machines, Walsh thinks the impact AI will have on society will likely be first felt in Australia, a country that is a leader in the field. However, Australia and the U.S. are facing similar problems associated with a lack of women in science, technology, engineering, and math (STEM) fields. Walsh believes access to robots, especially at an early age, can help bring girls into STEM fields. In addition, he says citizens need to understand the fundamental principles of computation, and robots offer an excellent platform on which to teach such computational thinking. Google researcher Geoff Hinton, who is often credited for bringing artificial neural networks to the fore as a cutting-edge artificial intelligence technology, is now promoting capsule networks as a remedy for problems in computer vision. Hinton says the problems stem from machine-learning software's lack of ability to generalize its acquired knowledge to new situations. Hinton notes capsule networks, or small clusters of virtual neurons, track different parts of an object and their relative spatial positions. A network of many capsules can use that awareness to know a new scene is a different view of something previously observed. Hinton says one study found capsule networks are comparable in accuracy to the best previous methods on a standard test of how well software can learn to recognize handwritten digits. In another study, Hinton says capsule networks nearly halved the best previous error rate on a test that tasked software to recognize toys such as cars and trucks from different angles. Researchers at the Massachusetts Institute of Technology (MIT), the University of Massachusetts at Amherst, and the University of California, Berkeley, have developed a new artificial intelligence (AI) system that analyzes research papers to deduce "recipes" for producing particular materials. The researchers want to use it to create a database that contains materials recipes extracted from millions of papers, and then scientists could enter the name of target materials and other criteria to find suggested recipes. The new machine-learning system can analyze a research paper, infer which of its paragraphs contain materials recipes, and classify the words in those paragraphs according to their roles within the recipes. 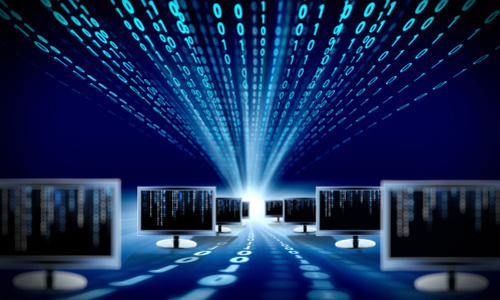 The researchers trained the system using a combination of supervised and unsupervised machine-learning techniques. During testing, the researchers found the system was 99-percent accurate in identifying the paragraphs that contained recipes and 86-percent accurate in labeling the words within those paragraphs. The University of Maryland recently hosted the third-annual Technica, an all-women hackathon that featured more than 50 sponsors, including its university's engineering school and the computer, mathematical, and natural sciences college. This year's event attracted about 900 female hackers to participate in various projects such as the creation of websites and apps. Although many participants were involved in science, technology, engineering, and math-related fields in various universities, about 33 percent of the attendees were in high school. The attendees comprised teams that competed to win awards such as "Best Cybersecurity Hack" and "Best Hack for Social Good." In addition to awards and opportunities, the hackathon seeks to get more women involved in technology and build a community within the computer science field. 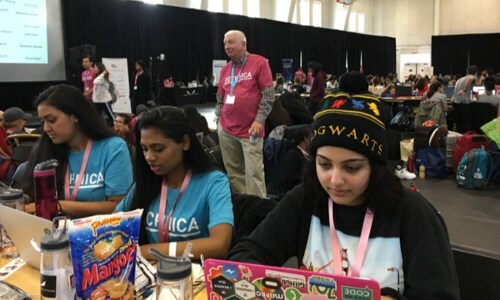 This event is unique because it builds up the confidence of female hackers and promotes their involvement in the field, says Jasmine Soni, a freshman computer science major who participated in the hackathon. Researchers at the University of California, Berkeley (UC Berkeley) and the University of California, Riverside have developed a new, ultrafast method for electronically controlling magnetism in certain materials, which could result in increased performance and more energy-efficient computer memory and processing technologies. "Inspired by recent experiments in the Netherlands on ultrafast magnetic switching using short laser pulses, we built special circuits to study how magnetic metals respond to electrical pulses as short as a few trillionths of a second," says UC Berkeley's Yang Yang. The researchers discovered that in a magnetic alloy composed of gadolinium and iron, these fast electrical pulses can switch the direction of the magnetism in less than 10 picoseconds, which is orders of magnitude faster than any other magnetic random-access memory. 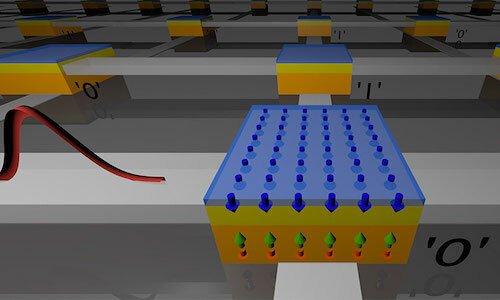 These discoveries provide a path toward ultrafast magnetic memories that enable a new generation of high-performance, low-power computing processors with high-speed, non-volatile memories on a chip, notes UC Berkeley professor Jeffrey Bokor. The Massachusetts Institute of Technology's LabSix artificial intelligence (AI) research team has demonstrated the first example of a real-world three-dimensional (3D) object becoming "adversarial" at any angle. Deceiving an AI with a few pixels is known as an adversarial example, and the LabSix researchers successfully tricked an AI into believing a real-world object--in this case, a 3D printed turtle--was a firearm. 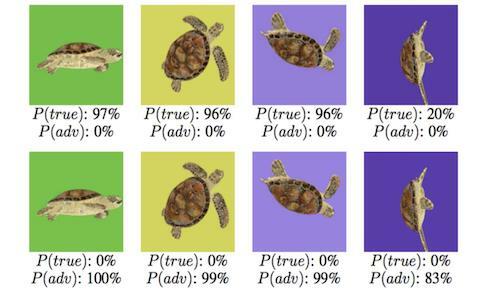 The group spent six weeks developing an algorithm that confuses a neural network no matter how the AI looks at it, and with a few small changes to the turtle's coloring, they made the computer think it was looking at a rifle regardless of the viewing angle. "More and more real-world systems are going to start using these technologies," notes LabSix member Anish Athalye. "We need to understand what's going on with them, understand their failure modes, and make them robust against any kinds of attack." As director of the Center of Data, Algorithms, and Systems for Health at the University of Southern California's (USC) new Michelson Center for Convergent Bioscience, USC Viterbi professor Fei Sha will focus on applying the findings of statistical machine learning to medical science. Among Sha's current projects is one to develop a machine-learning technology for analyzing tissue samples to diagnose breast cancer and produce more information such as outcome and response to treatment. Sha says the method entails feeding a computer sufficient biopsy data from the Cancer Genome Atlas to detect patterns, anomalies, and clinically relevant breast cancer subtypes, such as determining the response to estrogen-targeted therapies. 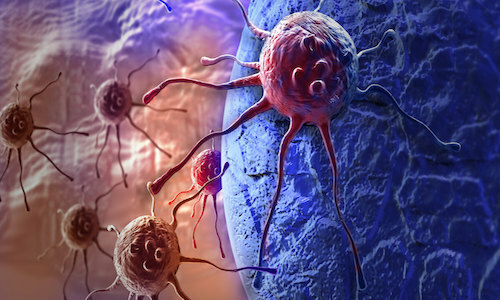 Another initiative Sha is engaged in is investigating how genetic biomarker variations of the immune system correlate to diversity in melanoma cancer cells, which could help spot the genetic cause of particularly hard-to-cure cancer subtypes and devise precise treatments for those cancers. 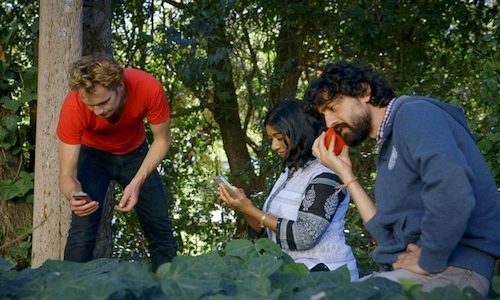 Researchers at Stanford University's Prakash Lab are seeking citizen scientists to contribute to Abuzz, a mosquito-monitoring platform aimed at producing the world's most detailed map of mosquito distribution. Participants will use cellphones to record and submit the buzz of a mosquito, which should enable almost anyone to participate. The goal is for Abuzz to create a map that depicts when and where the most dangerous species of mosquitoes are most likely to be present, which could lead to highly targeted and efficient control efforts. After participants submit the audio files, the researchers take the raw signal and reduce background noise. They then run it through an algorithm that matches the specific buzz with the species that is most likely to have produced it. After the species is identified, the researchers send the person who submitted the recording information about the mosquito and mark every recording on a map, showing where and when that species was sighted. Researchers at Purdue University have proposed a software platform called Furion to play high-quality virtual reality (VR) games using an untethered mobile device. 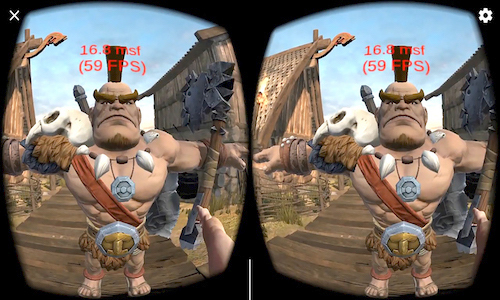 During testing on three popular VR games, the researchers found Furion delivers the quality of experience (QoE) required for VR apps on modern mobile hardware and wireless networks. QoE acceptability hinges on rendering each VR frame at a 16-millisecond rate; Furion splits up the rendering, executing background rendering on the PC or server and foreground rendering on a smartphone, accelerating frame-rendering time to 14 milliseconds on Google's Pixel XL handset. The full background is rendered as a panoramic photo and divided into four images, each decoded on one of the smartphone's four microprocessor cores. The background then can be automatically cropped to align with the user's shifting viewing angle. The team presented its research last month at the ACM International Conference on Mobile Computing and Networking (MobiCom 2017) in Snowbird, UT. Researchers at the University of California, Irvine (UCI) have developed Sankofa, an immersive computer game that aims to bring the cultural history of Ghana to life via gameplay while providing a unique learning experience. Sankofa is described as a cross-disciplinary venture into educational computer gaming that enables players to learn the history of the Asante Kingdom, a West African society located in modern-day Ghana, through an interactive, three-dimensional game. Sankofa is a unique game because "the learning goals are different from other games, because this is really about teaching an underrepresented culture," says Magda El Zarki with UCI's Institute for Virtual Environments and Computer Games. She notes the most challenging part of developing the game was researching the minute details associated with the Asante Kingdom's culture, such as the type of coinage that was used, the clothing that was worn, and the types of plants and animals that existed at the time.